Originally posted in HAND/EYE Magazine on February 22, 2017. In December 2003 three best friends from Northwestern University set off on a year-long, around-the-world trip, falling in love with the people, markets and textiles of India. They vowed to make the country part of their futures. One of the friends, Maureen Dunn Fetscher, returned the following year and bought lots of textiles and jewelry to bring back to Chicago to sell. Shoppers asked if the things were fair trade. They wondered how they could use their buying dollars to help alleviate the poverty they saw in India? The following year, Fetscher sought out fair trade producers in India to replicate a few dresses she brought them. She tested the market selling them at street fairs in Chicago, then retail pop ups, then holiday shops. Finally, they approached stores to sell their line and started marketing at trade shows. In 2007, they registered the name Mata Traders. Today there are over 1,000 artisans in India and Nepal who create Mata Traders clothing and jewelry, wares that are sold in 600 stores in the U.S., Australia, Asia and the United Kingdom and provide a stable source of income to their families in the poorest of communities. 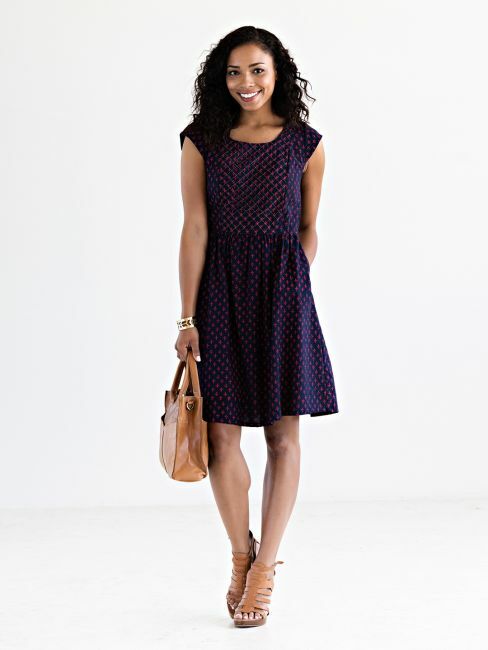 Based in Chicago, Illinois, they design the colorful, hand-blocked print dresses and separates sold in 50 states and 12 countries. The friends work with 6 organizations in India and Nepal that educate, employ with fair wages and working conditions, and empower women in marginalized communities. The printing helps to preserve a high-end cultural craft that is a dying art. “In India many times printing is a small family business,” says Fetscher. “Many prints are hand blocked or stamped.” The art of block printing has been practiced in India since the 12th century. “The printers have hundreds, maybe thousands, of blocks in their workshops from decades of printing. This kind of printing is passed down generationally in families. 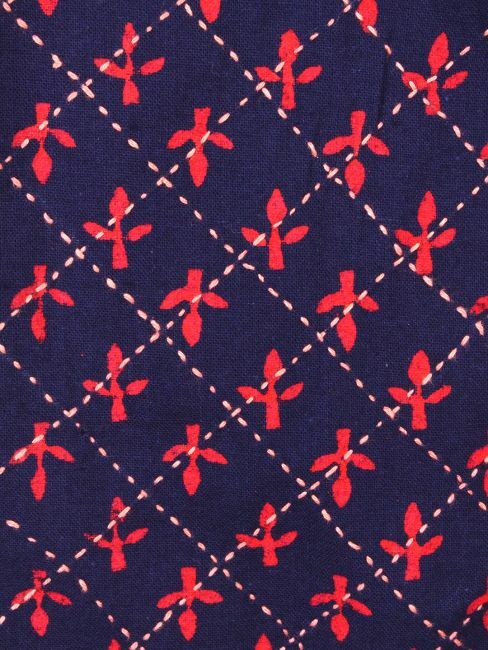 It had been the main technique for applying prints to textiles in India for centuries, a healthy and robust cottage industry, until the more efficient and economical machine-printing took over, putting many craftspeoples’ livelihoods, and the craft itself, in jeopardy,” Fetscher explains. 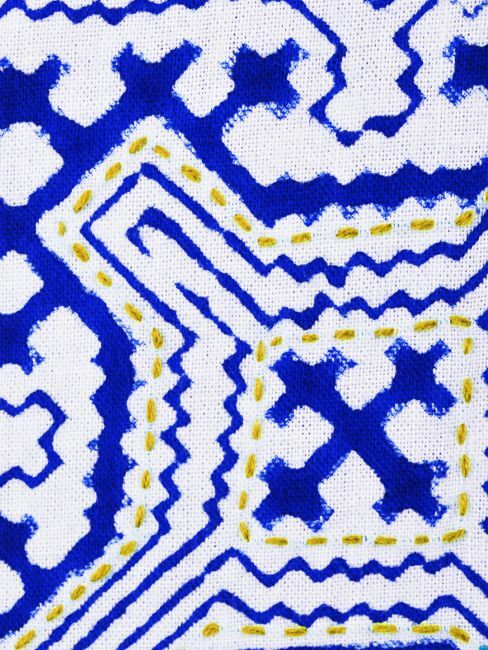 Stamp designs are traced onto and then carved from wooden blocks, called “bunta.” Large pieces of fabric are fixed to a tabletop and the carved blocks are then dipped into colorful dyes, stamped on the fabric, and the process continues for the entire sheet of fabric, forming an intricate pattern. 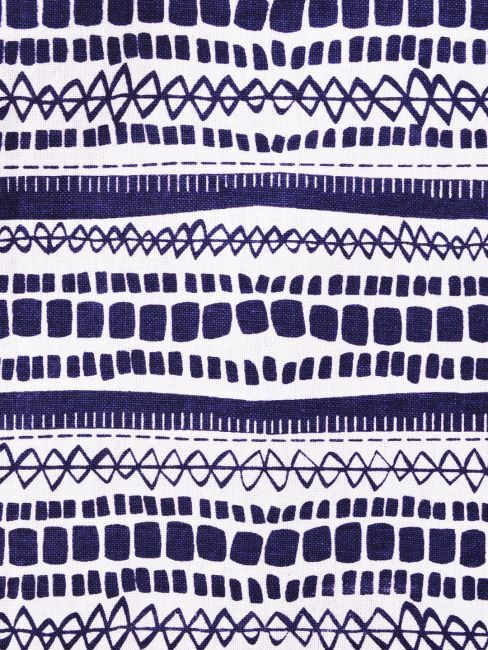 Block prints can be simple or can involve many layers of printing for each color. 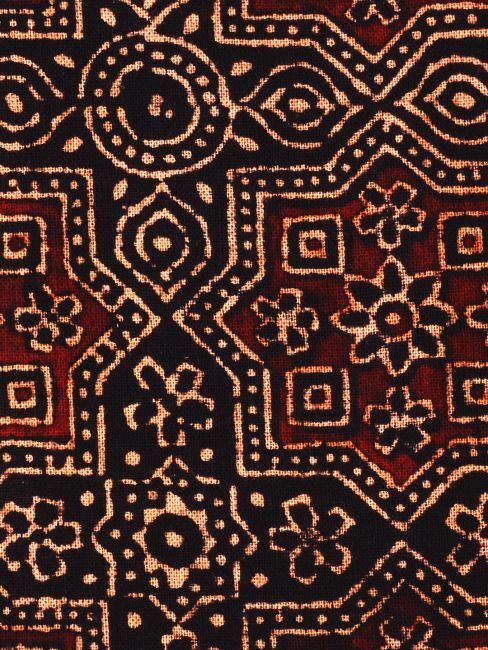 A special part of block printed fabrics is their occasional small imperfections – very much a part of the handmade process. 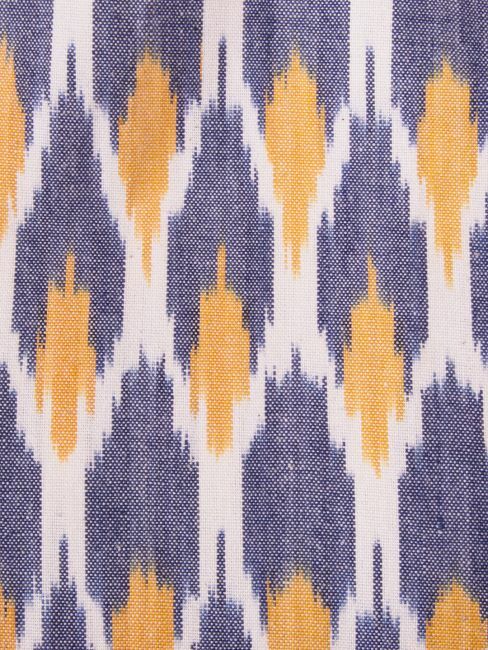 In India they also screen print fabric, a craft that has been in the country for centuries. A screen is burned with a design, fabric is pinned down to a tabletop, ink is pushed through the screen with a squeegee to transfer the design onto the fabric, and the fabric is left outside to dry. Often the process takes two people, one who handles the printing and one who assists in moving the screen and placing it in the appropriate place. 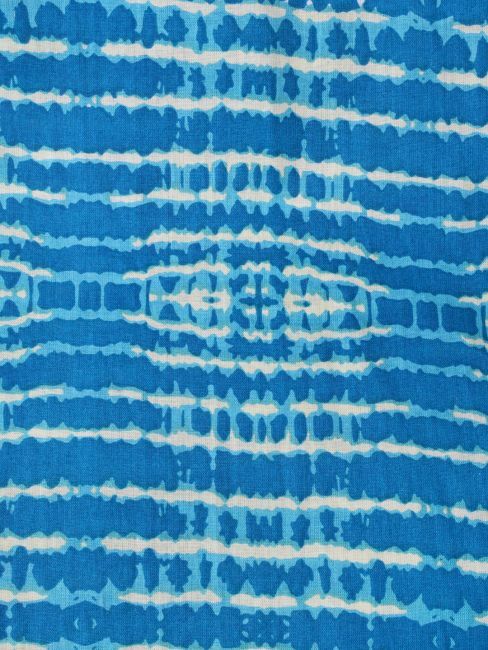 Screen printed fabric, just like block printed, can sometimes contain small mistakes or stray spots, making each garment truly one of a kind. Hand embroidery is also a craft in India that is seen in the Mata dresses. “Any pieces with embroidery come from our most traditional artisan group – the women can embroider from their homes and even get together in sewing circles within their communities.” At the co-ops where so many of their dresses are sewn, there are many benefits. They have social workers, health care, literacy training. workshops on financial literacy, domestic violence, hygiene and sanitation, and parenting. “This work helps them support their kids, buy their school supplies and afford educational fees. Many women can go to college or their kids can. That is where the change really happens for their kids. Some women can buy homes,” explains Fetscher. “In India the culture is such that women don’t work outside of the home. But Fetscher believes more consumers have to embrace the alternatives. “Most consumers don’t even know where their products are made. There has to be public outcry.” While the three friends are entering their 10th year, they keep pushing towards producing more ethically and sustainably while preserving cultural traditions. One goal is to make sure that the fabrics they buy in India are organic. Another is to continue to help the women in their co-ops. “Our motivation is off the charts. We are doing it because they are counting on us but we wouldn’t have this business without them.